Most individuals want their bathrooms to look modern and stylish. For this reason, when renovating or updating a bathroom, replacing the shower door is almost always at the top of the homeowner’s list. 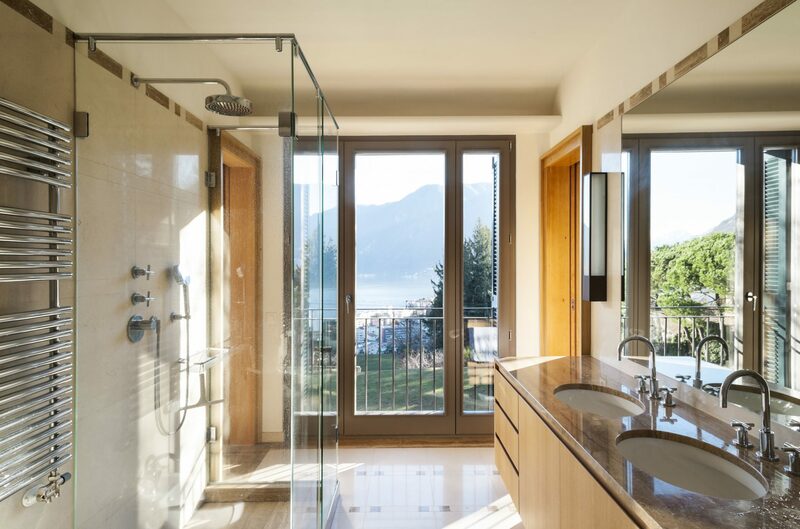 The benefits of a new shower door include an updated look for the bathroom, as well as a safer environment for the home’s residents. Below are some helpful tips for those planning to remodel a bathroom or replace a shower curtain with an attractive and practical door. Advantages of Shower Doors. The advantages of shower doors over curtains are almost always mentioned by home improvement experts when asked to provide shower tips. Among the many benefits of shower doors is the fact that they offer a watertight area that eliminates the need to clean moisture from the bathroom floor after the shower is used. Obviously, this also reduces the chance of slip-and-fall accidents caused by wet floors. In addition, the prevention of mold and mildew is made easier, as shower doors can be wiped with a basic, all-purpose cleaner. A shower door can also be scrubbed as hard as necessary unlike curtains, which can be difficult to clean without fraying or damaging the material from which they are made. Shower doors also create a streamlined, modern bathroom that is up to date with the rest of the house. Types. Homeowners can choose from among several shower door models. For example, folding panel doors can be installed, which open by a hinge in the middle. They are pulled open into the bathroom with handles and typically latch with a small magnet when closed. Sliding doors are somewhat different, as they simply rest in a track that extends along the bottom and top of the shower’s frame. Certain models also have towel bars mounted on the outer panel, which many homeowners find convenient. The material from which most shower doors are manufactured retains a timeless look that can be easily incorporated into virtually any bathroom. Shower doors have remained popular due to their durability, functionality and ease of cleaning. Therefore, anyone searching for remodel tips should consider adding a practical and decorative shower door to his or her bathroom. I like how you said that a shower door provides an area where water can’t escape which eliminates the need to clean moisture up after you get out. Having 5 kids this would be something that I would enjoy very much. We’re going to be remodeling our bathroom in a few weeks so maybe we should look into some kind of watertight hatch to use in our shower so we don’t have to clean up nearly as much when our kids get out in the mornings.